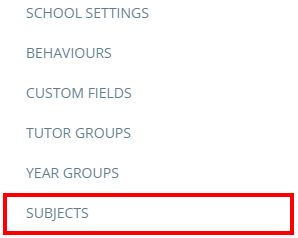 To view a behaviour report for a specific subject, click on the three lines menu in the top right hand corner of the page and select subjects from the list of available options. You will then be presented with a list of your school's subjects. 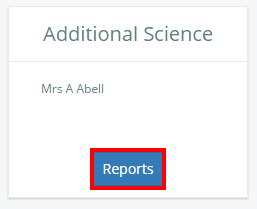 Click on the Reports button for the subject of your choice to view its behaviour report.